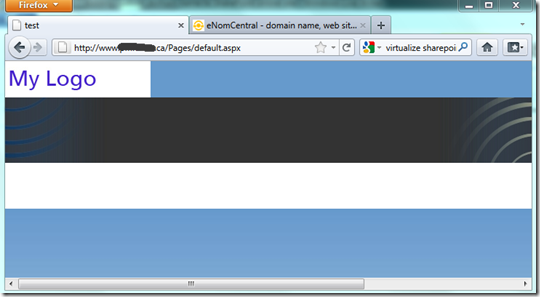 How do I add my own custom domain name to SharePoint Online site which I created? 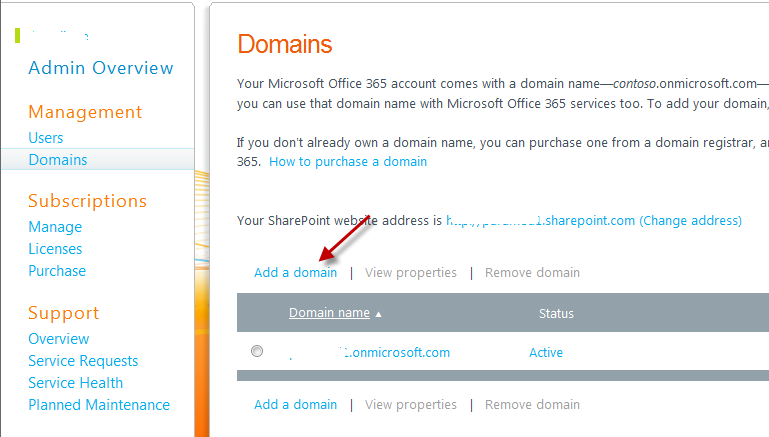 If you have SharePoint online site and want to add a custom domain name to your site, the process is easy. You can only add domain names that you own. If you don’t already own a domain name, you can purchase one from a domain registrar, and then return to add it to Microsoft Office 365. 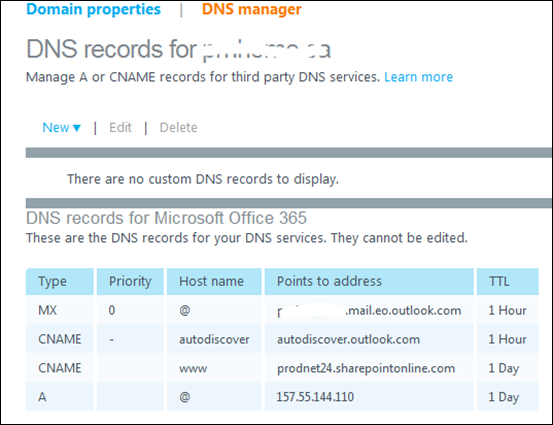 Before we can add your domain name to Microsoft Office 365, we must verify that you are the owner of the domain. 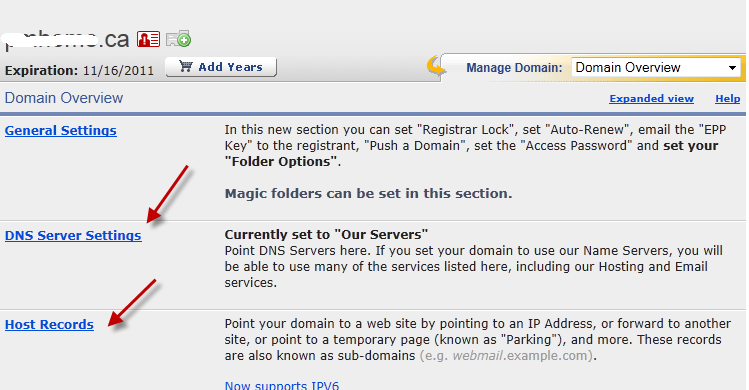 Sign in to your domain registrar’s website, and then select the domain that you’re verifying. In the TXT box for the domain, type or paste YourDomain.com. In the Fully qualified domain name (FQDN) or Points to box, type or paste v=verifydomain MS=ms95651193. Save your changes, and then sign out of your domain registrar’s website. Wait at least 15 minutes for this change to take effect. Return to Office 365 and click the Verify button below. 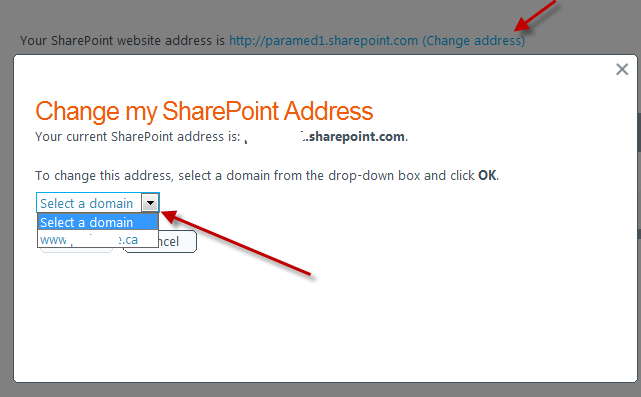 If you want to change your SharePoint address to your custom domain, click on Change Address. You should see your domain name listed in Select Domain. You will see your DNS records for your domain. Take this information and added to your domain name. 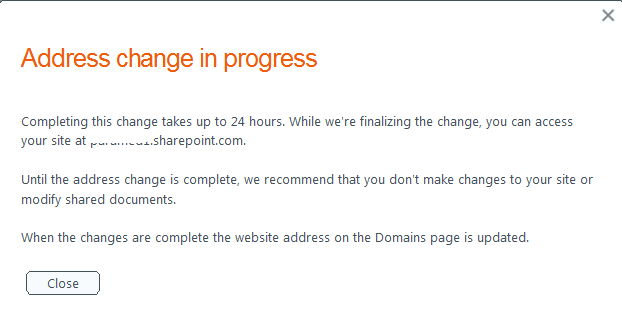 After all these changes, Whey I type in my custom domain, it takes me to SharePoint Online Site.